Our Fee Only Advisors — Astrolabe Financial Group Inc.
Two fee only financial planners hold the Chartered Financial Analyst designation and have a combined 20 years of experience in the industry. Stevan's career in the financial services industry began in 2006 in Montreal, at the University Avenue branch of TD Canada Trust. By 2007, he returned to Ottawa and joined MD Management, a subsidiary of the Canadian Medical Association. During his time at MD, Stevan was Certified in Investment Management (CIM) and started on the path to completing the requirements for the Chartered Financial Analyst® designation, having successfully completed that journey in the summer of 2012. The CFA® designation is recognized as the world-wide Gold Standard in the financial services industry. "By demystifying personal finance, we strive to give you a sense of security, control and independence in all your financial affairs. We want our clients to walk away with a full understanding of their retirement, and financial picture." In 2011, Stevan joined Ryan Kerr and established Astrolabe Financial Group. In doing so, his hope is that this organization can bring affordable fee-for-service financial planning to the masses. Everyone works hard for their money, and deserves to have some peace of mind with issues surrounding their personal finance. Furthermore, the average person should have access to unbiased, professional advice to have their money work for them and to better understand the financial concepts that seem so foreign to many. Stevan has a Bachelor of Commerce from Concordia University and holds the CFA®charter, awarded by the CFA® Institute. With his team at Astrolabe Financial Group, Stevan contributes to increasing financial literacy in his community. Ryan began his career in 2004 in the banking industry starting at TD Canada Trust before moving on to the Bank ofMontreal. During a brief hiatus from the financial sector, Ryan worked as an English language instructor in South Korea before returning to Ottawa where he joined TD Waterhouse as a portfolio analyst. His career later took him to MD Management, a subsidiary of the Canadian Medical Association, as a licensed investment adviser. During this time, Ryan completed all three levels of the CFA program, in addition to courses on Ethics, Insurance Planning, Portfolio Management and Wealth Management. "I really see financial planning as a journey, where a comfort with one's personal finances is the path, and attaining your financial goals is the destination. Our Astrolabe Financial Group logo was chosen to illustrate the importance of having the right tools to navigate your way to your financial goals." Astrolabe Financial Group was created to address the gap in financial literacy painfully apparent in our country. In these uncertain economic times, the importance of a good understanding of your personal financial goals and how to reach them cannot be overstated. Astrolabe Financial Group is dedicated to helping people figure out where they are financially, where they want to go, and how to chart a course that will get them there. Ryan earned his Bachelor of Arts from Carleton University, and holds the CFA®charter, awarded by the CFA® Institute. 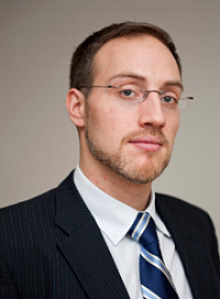 Alex’s career in the financial services industry began in 2013, at RBC Dominion Securities where he was responsible for analyzing financial markets, building fixed income and equity model portfolios and helping clients with portfolio management strategies. In 2015, while working full-time at RBC, Alex began teaching finance courses at Algonquin College where his passion for education began. In 2017, Alex joined Astrolabe Financial Group knowing that their organizational values are based on education, and unbiased financial advice. Alex earned his Bachelor of Commerce from the University of Ottawa, and an MBA with a specialization in Financial Management from Carleton University. He holds the CFA®charter, awarded by the CFA® Institute.